John has been riding even since before he could remember. An avid off-road racer, John just loves what riding brings to him: speed, danger, and satisfaction. John is a great rider, good mechanic and fun riding companion. He is a guide for us at MotoQuest. 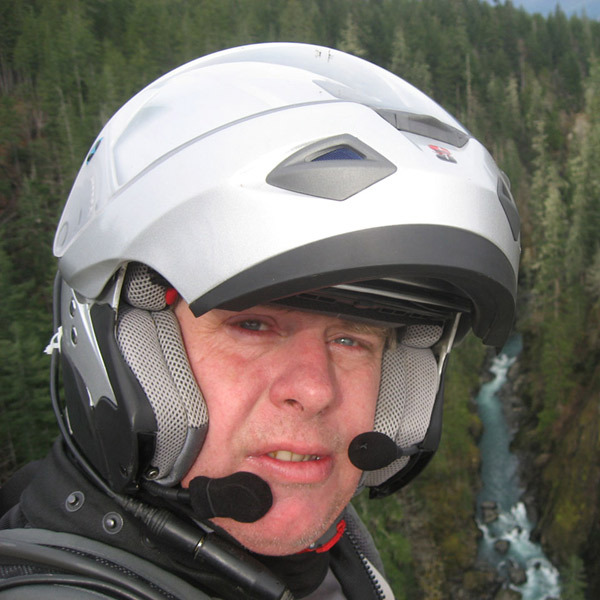 If you need anything in the Seattle, Washington area that has to do with adventure motorcycles, then John is your guy. Worst Motorcycle Experience: Broken down in the middle of the Nevada desert 1/2 way through a 9 day ride. Motorcycles Owned: First was a 1975 Honda Elsinore 125, there have been many since. Expertise: Expert Off Road Racer, Rally Navigator, Photographer and all around nice guy.